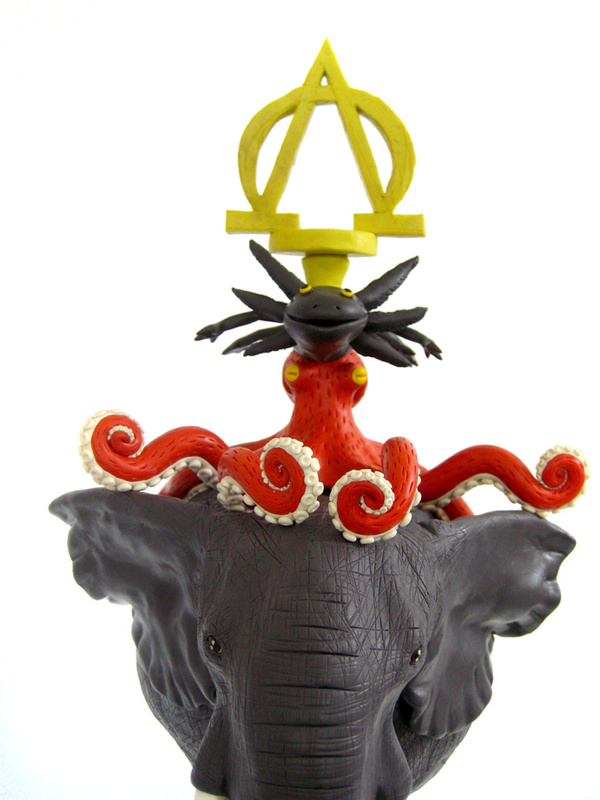 The totem is a form that has been used by different civilizations to materialize a symbolic cosmogony that explains their ancestor’s historic and cultural origins; they used those figures to depict the metaphysical relationships between an individual and nature. 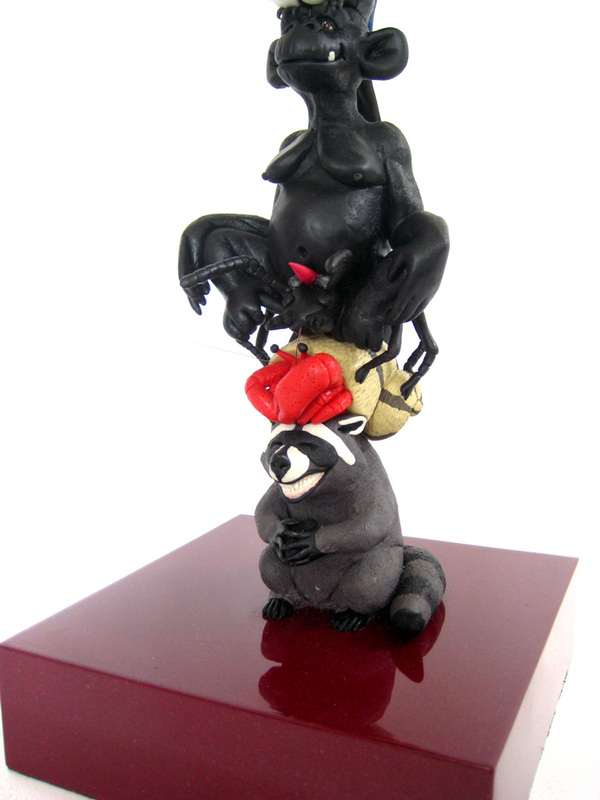 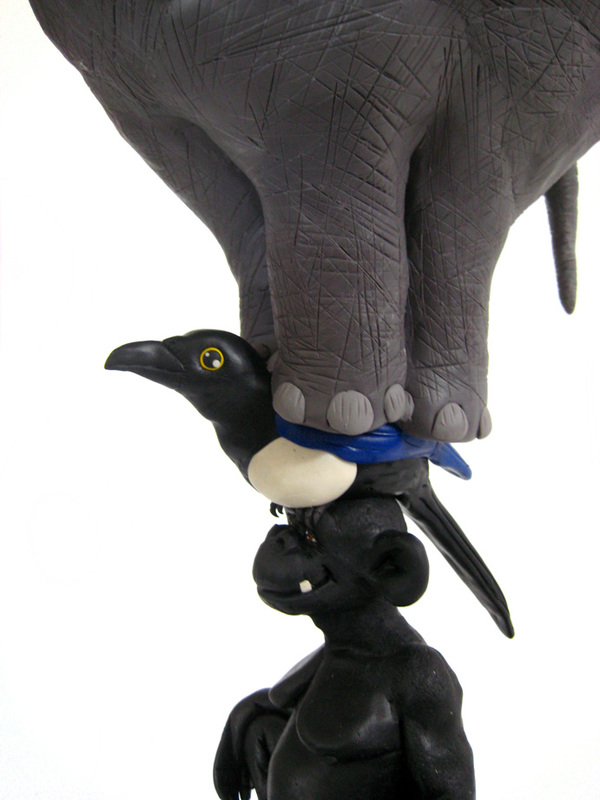 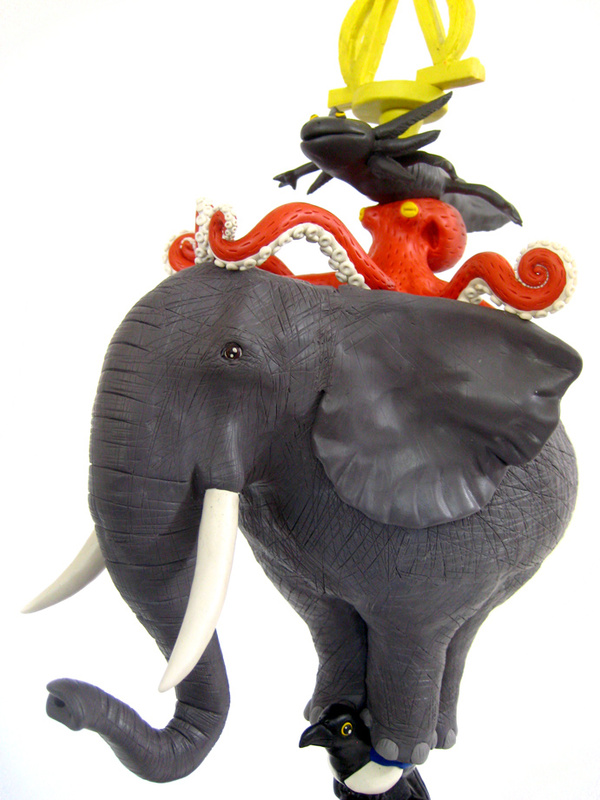 Emilio Rangel takes up this monumental form of vertical structure to reunite a series of animal characters that make up a totemic sculpture built upon modules, which correspond to the symbolization of some human conducts related to the character of each of the animal species included in this piece. 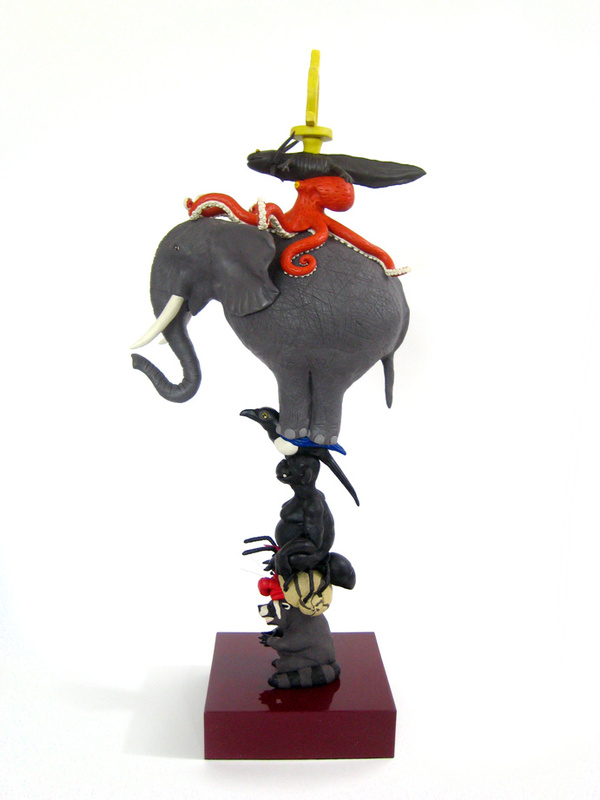 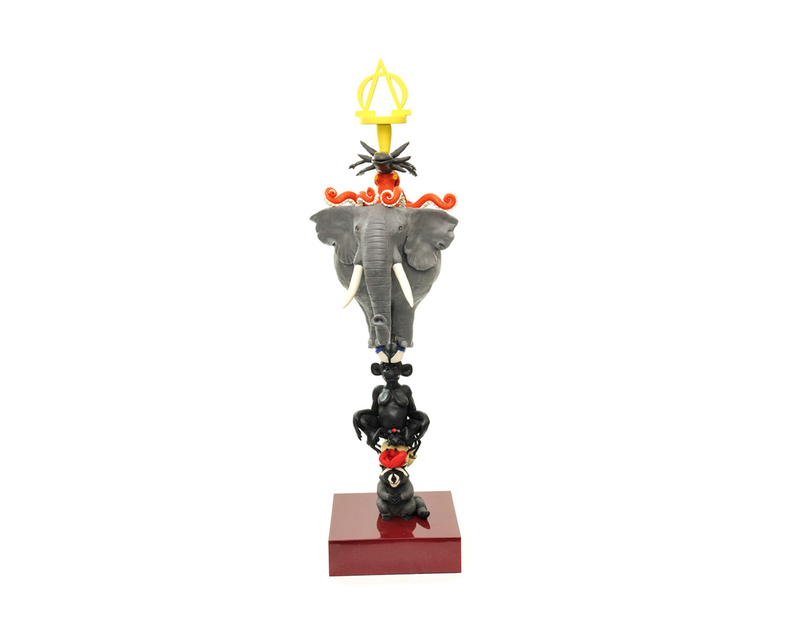 As a result of this sum of characters, we are able to see an object that describes the identity of a real person as analyzed and interpreted by Emilio, who, thanks to his constant practice in depicting animal forms in sculpture, has managed to become an expert in the contemporary zoological image.